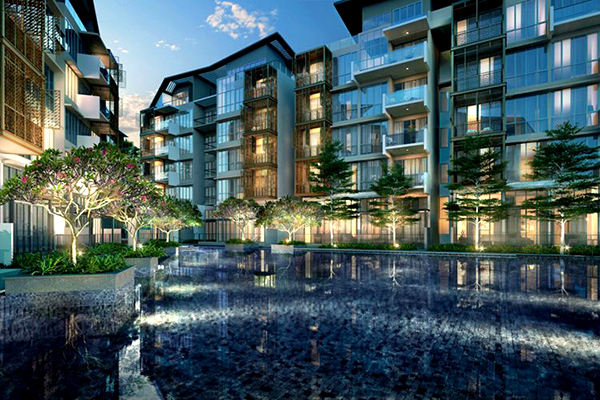 Mon Jervois is an exclusive residential address set in a choice part of District 10. The glamorous, prestigious neighborhood is known for its posh residence and serene surroundings cosseted in beautiful foliage. The estate is also highly coveted, being agreeably distanced from the din of the metropolis, yet delightfully close to all modern conveniences. This 99-year leasehold by Singland Development Pte. Ltd., yields an assortment of life spaces and added comforts. The development has already reached its TOP last year, so units are ready for occupancy – there’s no need for a long wait before you can move into your new home. 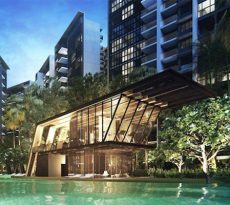 Mon Jervois is just a short stroll from Redhill station, which is just 4 stops from Singapore’s Central Business District. Also within a short drive or ride are Orchard Road, Clark Quay, Marina Bay, Singapore River, and One North. 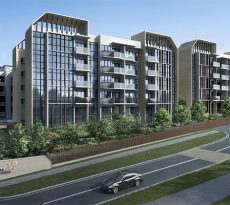 Jervois Road meets with major thoroughfares such as Central Expressway, Ayer Rajah Expressway, and East Coast Parkway, providing easy routes to any place on the island. 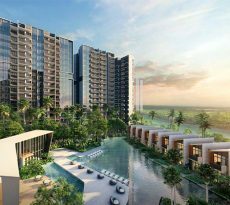 In addition, the strategic location places you within proximity to the Southern Waterfront and Sentosa Island. The architecture is am exceedingly contemporary composition composed of sleek planes, crisp angles, and parallel lines. Full-length, glass-paned windows dominate the facade, adding luminosity and finesse to its sober sophistication. The condominium puts forth five blocks with a hundred and nine residential units. The interior design is done up in a fashion similar to a boutique resort, amplifying the joie-de-vivre within. Each abode has space-efficient floor plans and superior-quality finishing, complete with high-end appliances. You can also look forward to expansive windows and balconies that increase the light and space. Certain units even come with special features, such as a private enclosed space, a family loft and/ or a double-height ceiling. It’s an address you would absolutely be proud to call home, where the life you’ve been dreaming of can certainly come true. It’s very ideal too, as Singapore’s most exciting offerings are within an easy distance from it. What’s more, you can be sure of high income from rental (should you decide to rent out your unit), as well as capital appreciation. Contact iCompareLoan mortgage broker for indispensable guidance and assistance to compare mortgage loan Singapore.